Anyone who has traveled around the world can tell you that one of the best parts of going to a new country is experiencing a new language. While many Arab countries sport their own unique dialects of the Arabic Language, what I find most compelling about Jordan is both its mix of dialects from surrounding countries and the differences in speaking between Jordanians who live in the city and Jordanians who don’t. 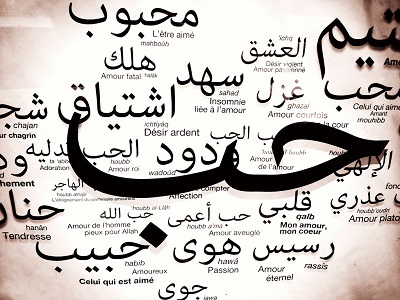 Whether someone is exchanging long-form pleasantries at the beginning of a conversation in an office or a taxi driver is angrily yelling at another driver as they both round a duwar, even if you cannot understand what is being said the Arabic language has an obvious poetry to it. As a bonus, no matter where you are in Amman, you are never far enough away from a mosque to hear the call to prayer; and as anyone will tell you, the most beautiful Arabic is always that of the Qu’ran. Like many warm-climate countries, Jordan comes alive at night. No matter where you are, odds are between sundown and 3 am (yeesh) someone somewhere is having a party. 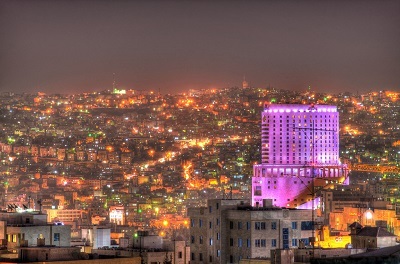 A particular treat is going down to the city center of Amman at night and just walking around. There are myriad restaurants, coffee shops, and especially stores with which to break up your walking tour. There is so much to see besides the historic sites, most of it just everyday, commonplace things. I am an avid people watcher and downtown Amman provides ample opportunities. If your urban hike has used up all your energy, refill on some deliciously, sugary kanafeh. It’s sure to give you the sugar rush you need to keep going. There are always chances to strike up conversations in every shop you go into, as the process of buying and selling is not as straightforward here as it is in other countries. Aqaba is one of the main tourist sights in Jordan, but while its resorts and beaches provide their fair share of entertainment and relaxation, the truly amazing aspects of Aqaba lie beneath the waves. 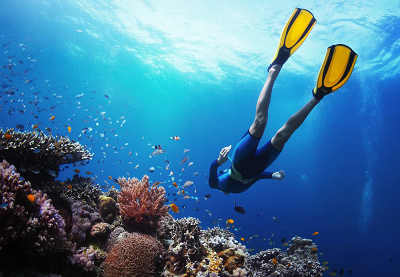 The Gulf of Aqaba has some of the most beautiful and interesting diving opportunities in the world, and anyone who enjoys slipping beneath the waves to experience the calm tranquility of undersea life would be remiss to leave Jordan without going on at least a few dives. This truly unique experience is not just for the experienced diver, though, as Aqaba has many opportunities for divers of any experience level. Trained and experienced guides can assist you with all stages of the process, and there are many places to buy or rent the necessary equipment. If for some reason you get bored of coral and sea life, be sure to check out the several interesting things that have been sunk for divers such as a tank and a ship. Jordan is a culinary experience you will not soon forget! 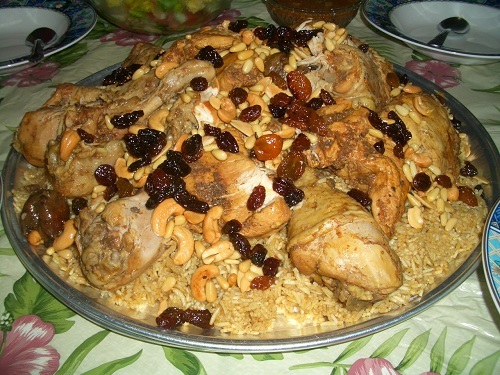 Many towns in Jordan pride themselves on their special dishes, such as Al-Karak and its mansaf. No matter where you go, though, you are sure to be delighted with whatever you order. There are dishes for the adventurous and the timid eaters alike. 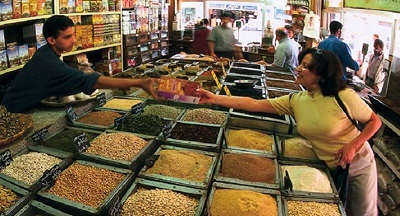 Like the Jordanian Arabic talked about previously, Jordanian food is a mix of both local and regional fare. An interesting thing to try if you are up to it and have the time: try ordering the same dish everywhere you go to sample the subtle differences that each chef in each town imbues in their dish. Some favorite dishes of mine are kofta bil tahini, chicken shawarma, falafel (of course), and ouzi rice. They barely scratch the surface of what is in store for you in any restaurant you go to. While I don’t want to list any specific restaurant in this post, there is a certain famous falafel place in downtown Amman that is worth the trip all on its own. Finally, the best thing about Jordan, as many who visit the country will tell you, is the people. Now before you accuse me of pandering, I will caveat it by saying that Jordan is no different than anywhere else in the world: you get the bad with the good. By and large, though, I’m confident you will find the average Jordanian to be kind, polite, and eager to engage with you. Do not be surprised if you are invited for a meal must faster than you would normally be comfortable with. My advice: while you don’t need to accept every offer, you will regret not trying at least one home-cooked experience. You will find Jordanians eager to engage you in conversation, both to discuss your history and theirs. You will find there is much more beneath the surface from everyone from a taxi driver to a doctor.